The number of tigers in Nepal will soon double, but what will they eat? To increase tiger numbers, you need prey. Prey need grass. Grass needs water. The tiger may be at the top of the food chain, but its fate is linked to the deer population which in turn depends on the abundance of grass, and which in turn hinges on the availability of water. 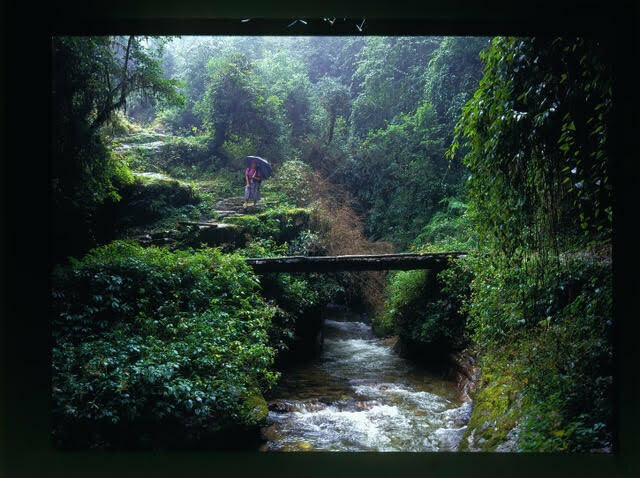 Nowhere else in Nepal today are these intricate linkages within an ecosystem as stark as in Bardia National Park, which has seen the population of its tigers increase dramatically from 18 in 2009 to nearly 87 today. 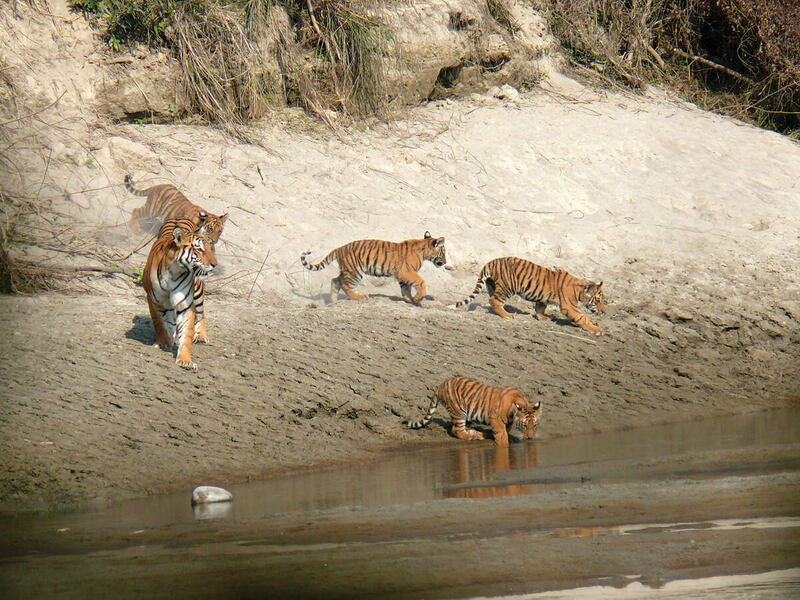 With Chitwan National Park nearly saturated with tigers, it is largely because of Bardia’s success that Nepal is set to become the first tiger range country in the world to exceed the target of doubling its population of big cats by 2022. But, there are clouds on the horizon. An adult male tiger needs a vast territory of 100sq km to roam in, while a female needs about 20 sq km. And each individual needs to make at least one kill of a deer-sized animal a week. But the prey density in Bardia has declined sharply from 93 to 77 per sq km just in the last five years. This is due to an increasing tiger population, forest encroachment on former grasslands, the abundance of tall grass species which deter deer, as well as a falling ground water table due to global warming. 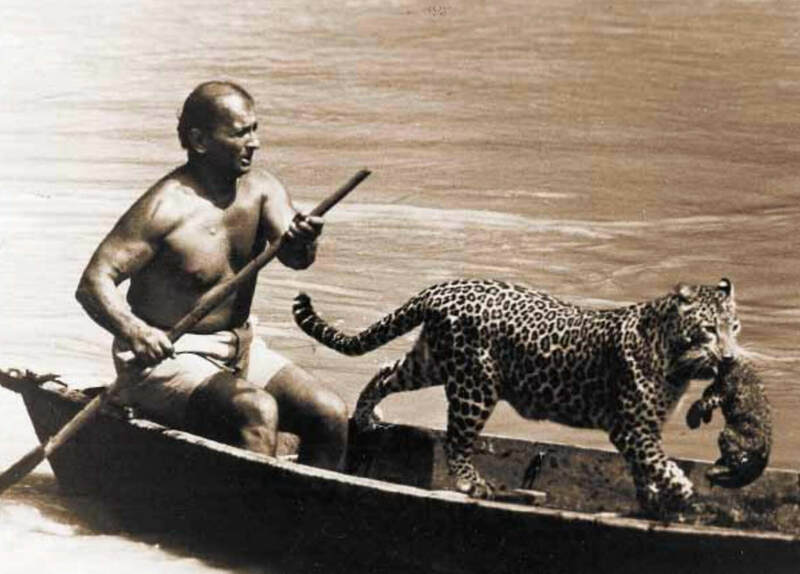 All this adds up to the tigers not getting enough prey. Tigers then venture outside the park to eat livestock, intensifying human-wildlife conflict and endangering conservation efforts. 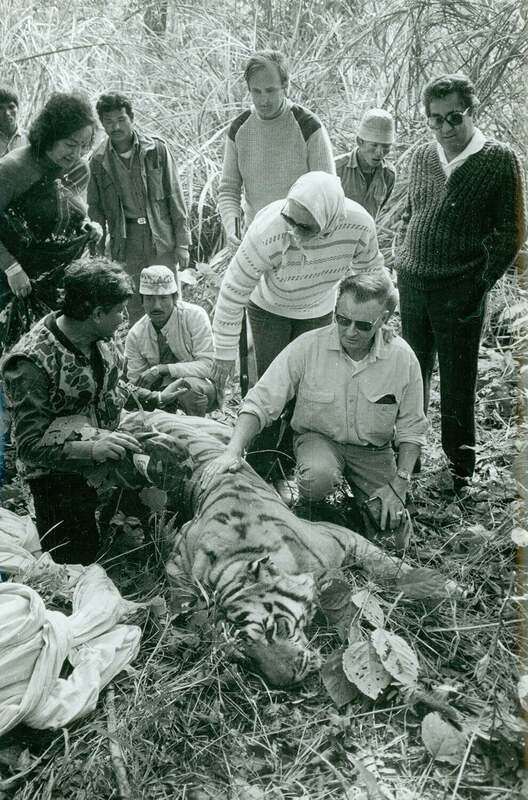 Today, Bardia National Park is at the forefront of research into restoring the predator-prey balance. 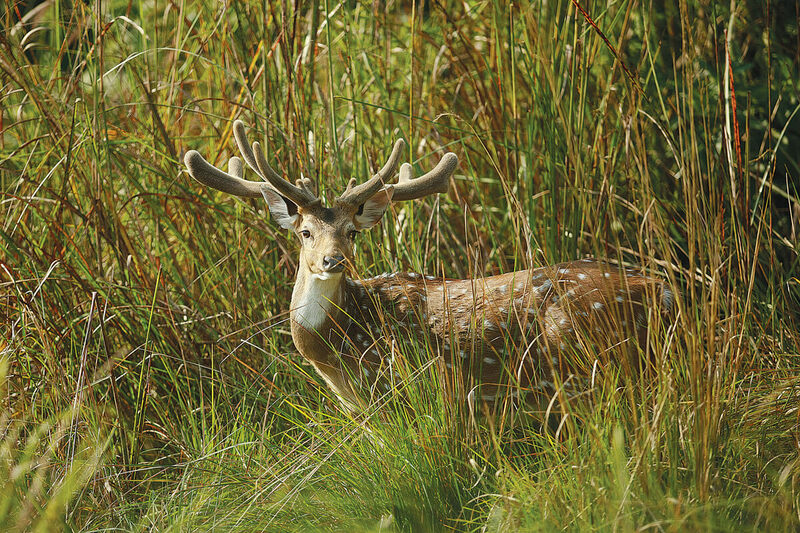 Shyam Thapa of the Nepal Trust for Nature Conservation (NTNC) is studying a dozen especially designed research plots to find ways to encourage the growth of the kind of tender green shoots that the five species of deer in Bardia like to graze on. Before and after satellite imagery of Bardia clearly show the grassland being overrun by spreading forest cover. Drought caused by climate change, as well as the reduced flow of water in the Geruwa channel of the Karnali River because of boulder mining and the Bheri-Babai diversion upstream have lowered the water table and reduced grass cover inside the park. A lower water table favours the growth of trees, not grass. “We are trying to see what are the factors that will make the kind of grass that the deer like to eat grow back, because this will increase the number of deer which will in turn allow the park to support a larger tiger population,” says botanist Laxmi Raj Joshi at the NTNC. Like Chitwan, Bardia used to be opened for a few weeks every winter to allow villagers to collect thatch grass inside the Park. This further reduced grass cover, disturbed wildlife and caused wild fires. Since most farmers now have tin roofs or cement houses, there is no longer a need to open the park for thatch collection. The Park has dug wells and installed solar-powered pumps to ensure that the favourite watering holes of the animals do not go dry. There are also plans to translocate arna, gaur and nilgai from other nature reserves to restore the original habitat and add larger prey for tigers. With these measures, conservationists believe that Bardia and the adjacent Banke National Parks can accommodate another 100 tigers. But for now, as tiger numbers increase and prey density declines, tigers are venturing outside the park to prey on livestock. Wild elephants also often raid crops and trample houses outside the park, increasing tension between the Park and people. In order to reduce conflict between villagers and wildlife, Bardia National Park is experimenting with more effective electrical fences that can stop bull elephants and tigers (see box). 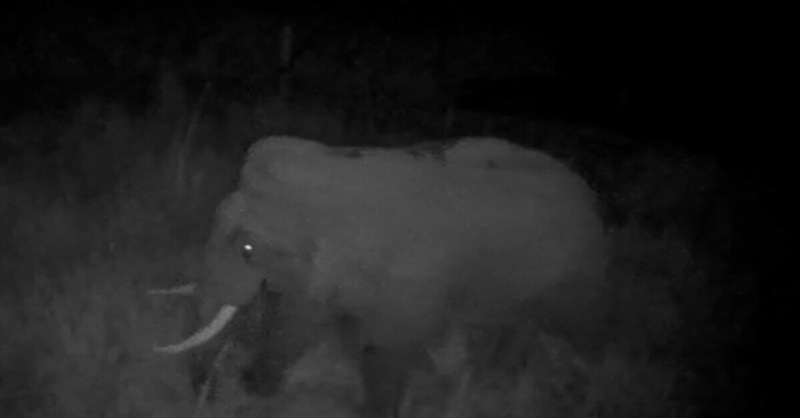 The grainy night-time webcam video shows a tusker approaching an electrical fence designed to keep wildlife from raiding crops outside the Bardia National Park. There is a small spark as the elephant gets a shock on its trunk, and retreats. In another clip, the same elephant returns, and knowing that the wire is live, uses his tusk to knock down the cement pillar. Through trial and error, the smart elephant has learnt that neither its tusk, nor the cement pole conducts electricity, and has learnt to destroy the fence without touching the wires. In another instance that was not caught on camera, a bull elephant lifts a dead tree with its trunk and flings it across the electrified fence, and walks across. Humans and elephants are constantly trying to outwit each other here in one of the biggest sanctuaries for wild elephants in Nepal. “The elephants always surprise us with how creative they are,” says Kumar Khadka of the National Nature Conservation Trust (NTNC) whose team has now come up with a prototype fence design that protects the pillar as well with electrified wire tentacles. The elephants are attracted by bananas and other treats placed inside the fence and are monitored by movement-activated cameras at night. So far, humans are winning. But one never knows if the elephants will come up with an even more clever plan to demolish the fence.